The Royal is made in Britain and offers bespoke comfort, flexible support, practicality and versatility combined with modern styling. 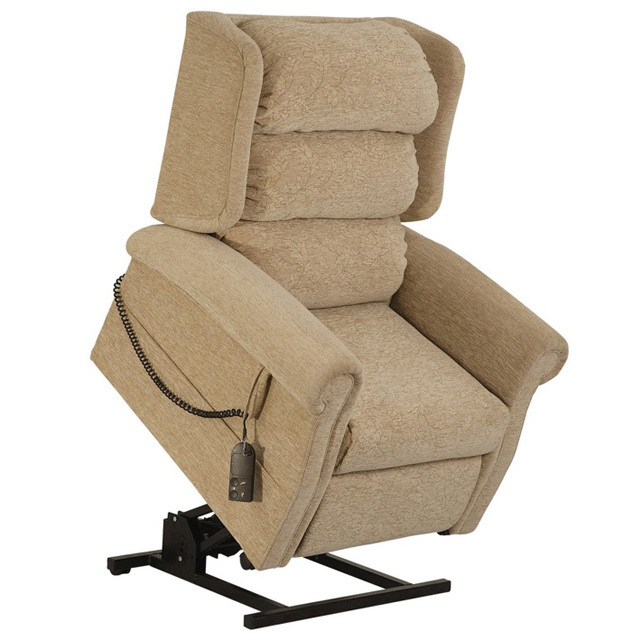 These are the key features which make the Royal one of the most popular chairs on the market. Large supportive wings ensure the cushions are held in position while the three bolster cushions, each removal with its own zipped back, enable users to create their own personalised configuration. The Royal can be fitted with a number of different mechanisms to suit a variety of personal needs. 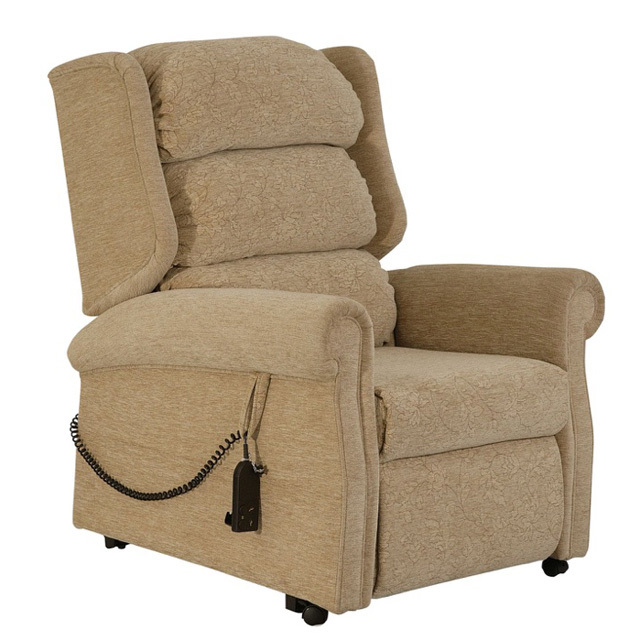 Each mechanism is specifically designed to assist with movability and maximise independence. 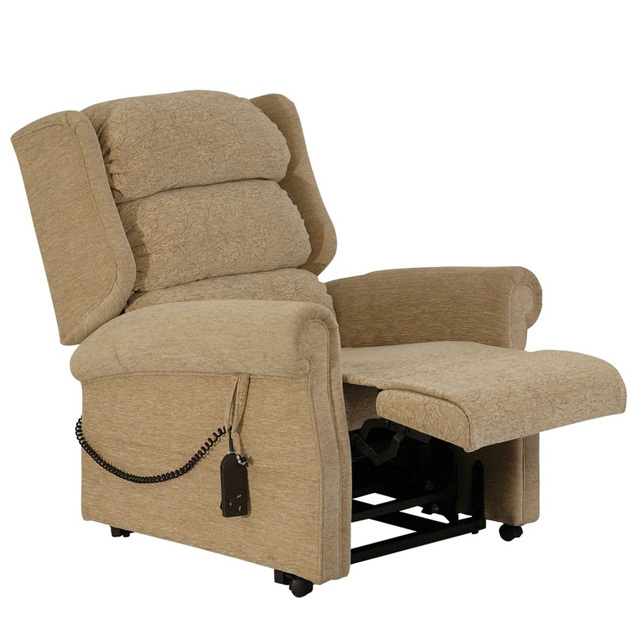 Our demonstration model features a 22" seat, 25 stone maximum weight capacity with a single motor tilt-in-space mechanism. There are many variations of the Royal available with a choice of 30 different fabric colours to choose from plus a large number of optional accessories.